Anna M. Fisher is currently an analyst with BAEconomics Pty Ltd and the Manager of Gobi Livestock, a BAEconomics not-for-profit entity. 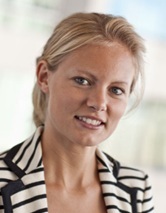 She was previously with the infrastructure advisory firm, Evans & Peck in project management and commercial services. She holds a Bachelor of Project Engineering and Management (Civil) and a Bachelor of Arts (Spanish) from the University of Sydney. Dr. Brian S. Fisher is currently the Chairman and Managing Director of BAEconomics Pty Ltd. He is one of Australia’s most respected advisers on minerals, energy and agricultural policy, climate change, emissions trading and the economic impact of current and future climate and energy policies. He was previously the Executive Director of the Australian Bureau of Agricultural and Resource Economics (ABARE) and the Professor of Agricultural Economics at the University of Sydney and the Dean of the Faculty of Agriculture at the University. Brian has been the government board member on a number of statutory corporations and an Associate Commissioner of the Productivity Commission and in 2005 the Chairman of the Prime Minister’s Exports and Infrastructure Taskforce. He has published widely on trade and investment, and economic policy. He holds a PhD in agricultural economics and a DScAgr from the University of Sydney. 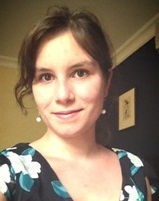 Marie Gillardeau is an economist at BAEconomics Pty Ltd. She received a Postgraduate Diploma in Economics and a Graduate Diploma in Management and Economics from The University of Melbourne, a Master of International Business from La Trobe University and a Bachelor of Commerce and Foreign Languages from the University of Orléans, France. Recently she completed a short course in computable general equilibrium modelling (GTAP) with Bahçesehir University in Turkey and Purdue University. 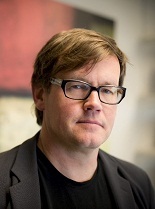 Nathan Hultman is Director of the Environmental and Energy Policy program at the University of Maryland School of Public Policy, and Associate Director of the Joint Global Change Research Institute. Dr. Hultman is currently on leave from the University, serving as Deputy Associate Director for Energy & Climate Change at the White House Council on Environmental Quality. He has participated in the UN climate process since the Kyoto meeting, and was a contributing author to the recent IPCC Fifth Assessment Report and Special Report on Renewable Energy. He has previously been a Nonresident Senior Fellow at the Brookings Institution, a Visiting Fellow at the University of Oxford’s Institute for Science, Innovation, & Society, and an assistant professor of Science, Technology, and International Affairs at Georgetown University. He holds a Ph.D. in Energy & Resources from the University of California, Berkeley and a B.A. in Physics from Carleton College. Gokul Iyer is a PhD candidate at the School of Public Policy at University of Maryland and works at the Joint Global Change Research Institute, a collaboration between University of Maryland and Pacific Northwest National Laboratory. Gokul’s research broadly focuses on using integrated assessment modeling and scenario analysis to study the role of technology and technological change in climate change mitigation. Gokul’s recent research has focused on the long-term payoffs of near-term technology policies and implications of investment risks for the distribution of mitigation effort and costs of climate change mitigation. His work has also explored the implications of small modular reactors for climate change mitigation and the effect of resource availability and grid integration on wind energy development. 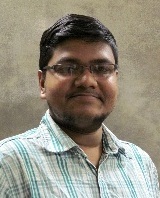 Gokul has Master of Technology and Bachelor of Technology degrees from Indian Institute of Technology, Bombay and Visvesvaraya National Institute of Technology, Nagpur respectively. Raymond Mi is a senior economist at BAEconomics Pty Ltd, where he leads an in-house computable general equilibrium (CGE) modelling research program. His specialisation is in economic model development, policy evaluation, international trade analysis and economic impact analysis using CGE modelling and input-output modelling techniques. 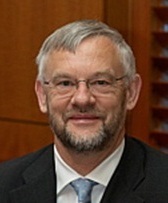 Prior to joining BAEconomics, Raymond worked for various Australian Government departments including the Commonwealth Treasury, ABARE and the Department of Agriculture, Fisheries and Forestry, where he was the main developer of the Global Trade and Environment Model (GTEM) and the Global Integrated Assessment Model (GIAM). 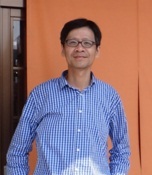 Raymond holds a Masters of Economics from the Australian National University (ANU) and a Bachelor of Engineering from the University of Hong Kong. David Victor is an internationally recognized leader in research on energy and climate change policy as well as energy markets. 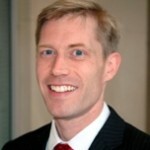 His research focuses on regulated industries and how regulation affects the operation of major energy markets. He has a dual understanding of the science behind climate change and how international and domestic public policy work. Victor authored of “Global Warming Gridlock,” which explains why the world hasn’t made much diplomatic progress on the problem of climate change while also exploring new strategies that would be more effective. Victor is a leading contributor to the Intergovernmental Panel on Climate Change (IPCC), a United Nations-sanctioned international body with 195 country members. Victor’s expertise was recently tapped by the Southern California Edison to lead the company’s Community Engagement Panel for decommissioning of the San Onofre Nuclear Power Plant. According to utility officials, he was chosen to lead the panel because he has the vision, leadership and experience to bring together a diverse group of concerned people.